The ISKCON movement needs no introduction. Recongnised the world over, this group is one of the few international organisations that profound benefits of the Vedanta philosophy. 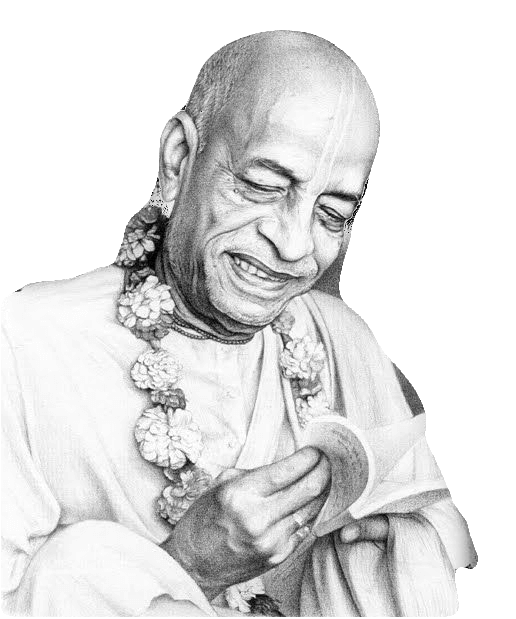 The international society for Krishna Consciousness (ISKCON) was established in 1966 by his divine grace A.C.Bhaktivedanta Swami Prabhupada (Sirila Prabhupada) when he visited the United States at the age of 69. ISKCON, better known worldwide as the, ‘Hare Krishna’ Movement, is a non-sectarian, monotheistic movement working towards promoting the well being of society by teaching the science of krishna consciousness according to Bhagwad-Gita and other ancient scriptures, as thought by 16th century Saint Chaitanya Maha Prabhu… believed to be an incarnation of Krishna himself by his ardent devotees. As per His teachings, Lord Krishna is the principle deity, God Himself, and that everyone can regain a personal relationship with Krishna through bhakti, snakirtana and chanting of the Hare Krishna Mantra. ISKCON today is spread over in all the 7 continents with more than 600 centers, including 80 farm communities, 50 schools, Hospitals and 90 restaurants. 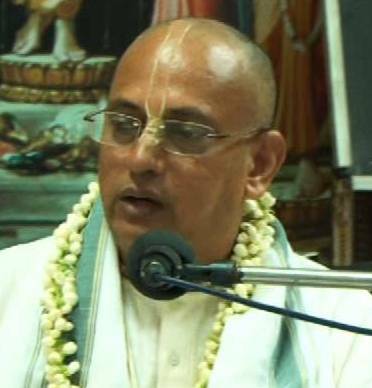 Once, when the train in which Srila Prabhupad and his disciples were traveling stopped at the Delhi station, Prabhupad asked as to whether there was an ISKCON base in Delhi. On hearing a negative response, he directed his disciples to get down and initiate one… which is precisely what the obedient disciples did, and today there stands a lofty temple overlooking the Delhi city. Thus each ISKCON temple has been constructed similarly… every ISKCON temple is the fruit of the devotee’s efforts. And the Vizag effort is no different. May 1999, an ISKCON devotee couple, Sri Samba Das and his wife affectionately called by all as Mataji reached Vizag from the US to build an ISKCON centre here, simply on directive from their Guru. With no backing, no funds to speak off and a language deterrent, they started from absolute scratch, new to the city; they searched around, took a house on rent(initially in Seetammadhara, and a year later shifted to Pandurangapuram) and embarked on their mission. To begin with, they called in people from in and around the vicinity to partake in Krishna Bhajans, Gita Prayanam, and such activities. They interacted with youth and children and taught them virtues, bhajans, mantra meditation, yoga and similar activities which evenentually got even the parents interested and involved… They might have started small but the plans were grand… the ultimate aim – too build a grand temple complex for Krishna, a project they fondly named the ‘Glory of Andhra’. While activities indulging in spreading the message of Gita, Sannkirtan, Yoga and the Hare Krishna mahamantram, these devotees embarked on a sanctified mission. Sri Samba Das began the quest with a dedication, determination and a confidence that few could fathom. Every hurdle, and there were many, he and his fellow ISKCON devotees tackled head on. Right from dealing with the government red-tapism, bureaucracy, the cash crunch, the opposition from local ruffians… It seemed like Krishna was testing their mettle and faith; because He rewarded each quandary, no matter how daunting, with success. Just when it seemed that all was lost, an unanticipated benefactor would step in, or a solution would materialize. And finally today, in the serene environs adjacent to Sagar Nagar, the temple is slated to rise. As on today, the idols are installed in a big spacious hall with a small kitchen, prasadam hall, offices and rooms for devotees alongside,. Behind is a complex that houses Seminar Hall and guestrooms for ISKCON Life-Member. There is a 450 seater Multimedia Theater as well. In this theatre, small snippets educating the public and children on various aspects of Vedanta, Bhagavad Gita, emergence of universe, difference between good and evil, Science of Self realization and many more similar presentations will be shown. The specialty is that each seat will have a pair of earphones with a choice of language narration, i.e., Hindi, English or Telugu. Also in place is a Goshala, big enough for about 50 cows. In the center lies the land earmarked for the main temple. And the plans are grandiose,. With a Four stories high edifice housing six temples, namely the signature deities of ISKCON Radha and Krishna. Then there is a Jagannath Baladev and Subhadra(akin to the Jagannath of Puri Idols) sanctum. Also planned are sanctums for Rama-Laxmana-Sita, Gour-Nitai, NarasimhaDev and Balaji. In addition, there are 12 Salagrama Silas being brought in from Nepal.